(CNBC) – Food and Drug Administration Commissioner Scott Gottlieb knows that almonds don’t lactate. But he wants to make sure you know, too. The regulator Thursday said it was on a “fast track to take a fresh look” at how dairy substitutes are being used in the marketplace, particularly those that advertise themselves as “milk” or “cheese.” The agency is soliciting feedback on how the public uses and perceives plant-based dairy alternatives, such as almond milk. 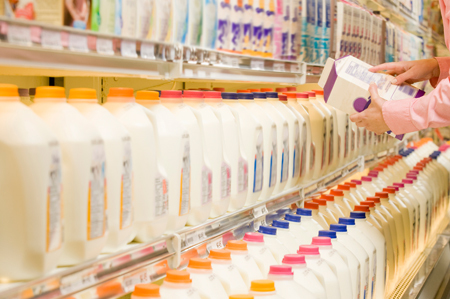 Gottlieb said the feedback was an important step in updating the agency’s policies on using dairy terms in labeling plant-based alternatives. “We’re carefully assessing products currently on the market to determine whether any have misleading labels that would prompt us to take action to ensure that consumers are not under the misconception that their plant-based beverage is a dairy product in disguise,” Gottlieb said in a statement. Gottlieb’s lactation confession is part of a push at the FDA to consider new rules for products like soy cheese and nut milks, out of concern consumers may not be aware of their nutritional differences. That’s apparently not sufficient – either for the FDA or the dairy industry, which in July urged the agency to review use of the term. That’s as nondairy milk sales increased by more than 60 percent between 2012 and 2017, as sales of skim and low-fat dairy milk declined, according to market research group Mintel. The dairy industry has spent more than $2.7 million on lobbying so far this year, according to federal lobby disclosure forms. Consumers have 60 days to respond to the agency’s request for information.